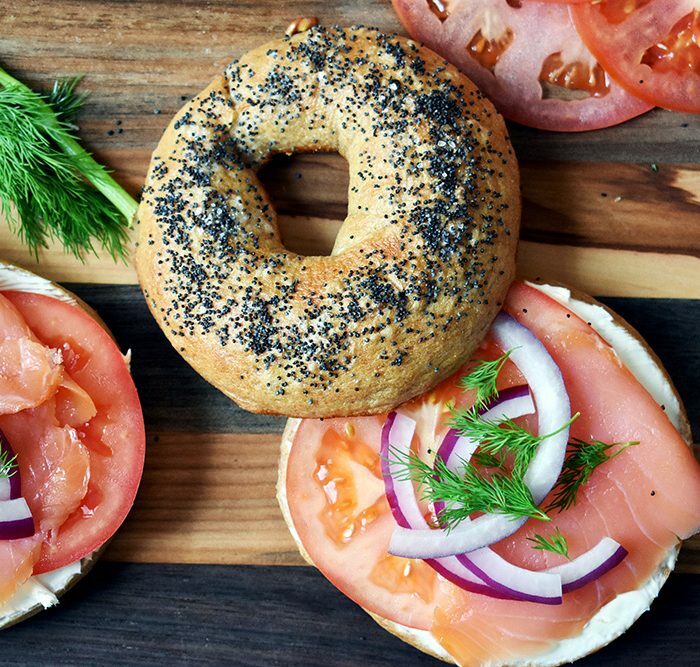 Nothing beats a freshly baked bagel. Only now, you don't have to drive to your local bakery or coffee shop to get one! 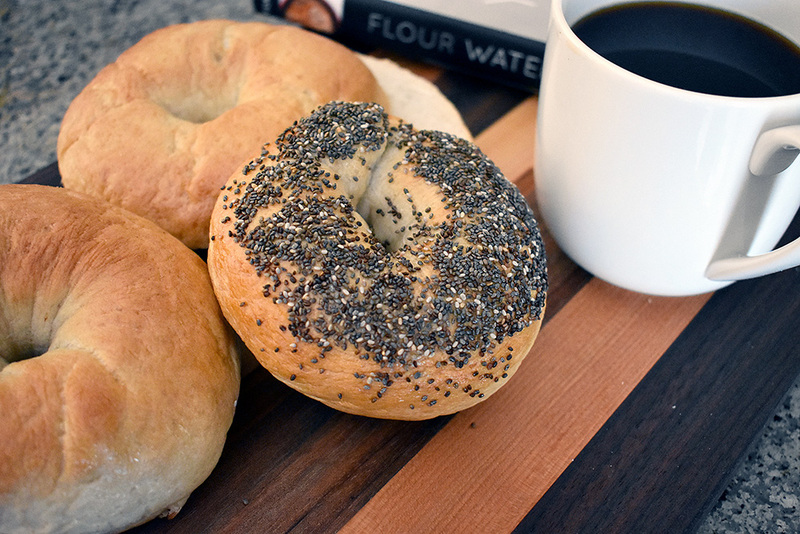 These homemade bagels are crazy easy to make. 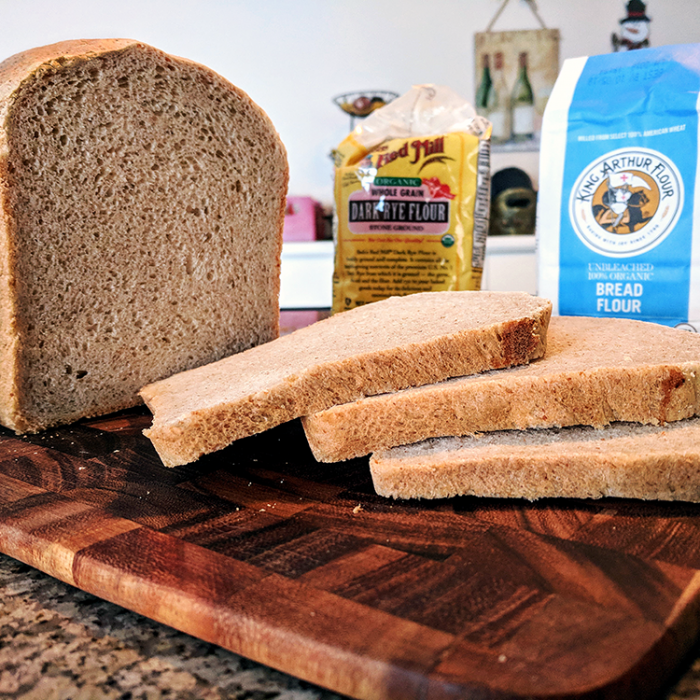 Since we use a bread machine to knead the dough and let it rise, there is very little active time needed for this recipe. 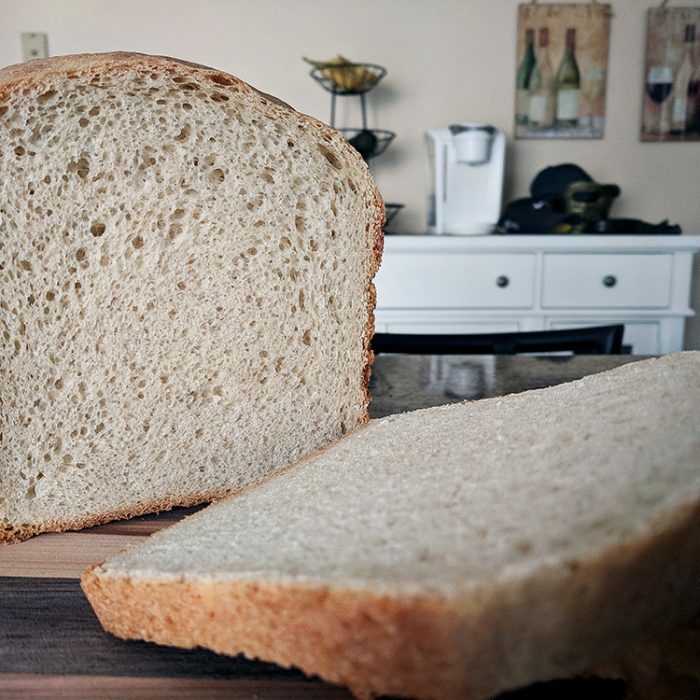 Setup your bread machine and add ingredients into your bread pan, starting with liquids first, followed by flour, sugar, and then yeast. 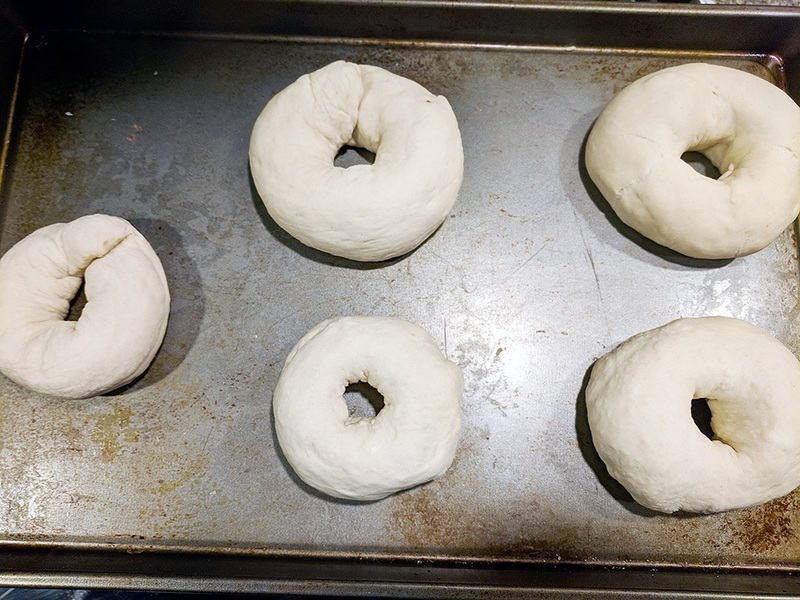 Remove the dough from the bread pan and divide it into 6-8 even portions (6 if you want bigger bagels or 8 if you want regular sized). 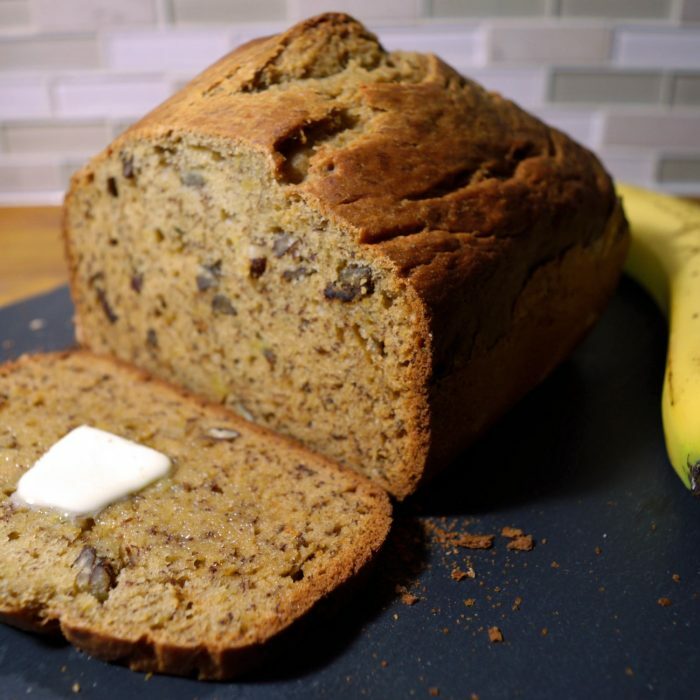 Using your thumb, make a hole through the center of the dough and carefully stretch it out to the size you prefer (generally the width of two fingers, because it will shrink up again as it rests). Pre-heat oven to 400F and bring 2-3 quarts of water to boil. Place bagels into water (2-3 at a time) and boil 1 minute per side. 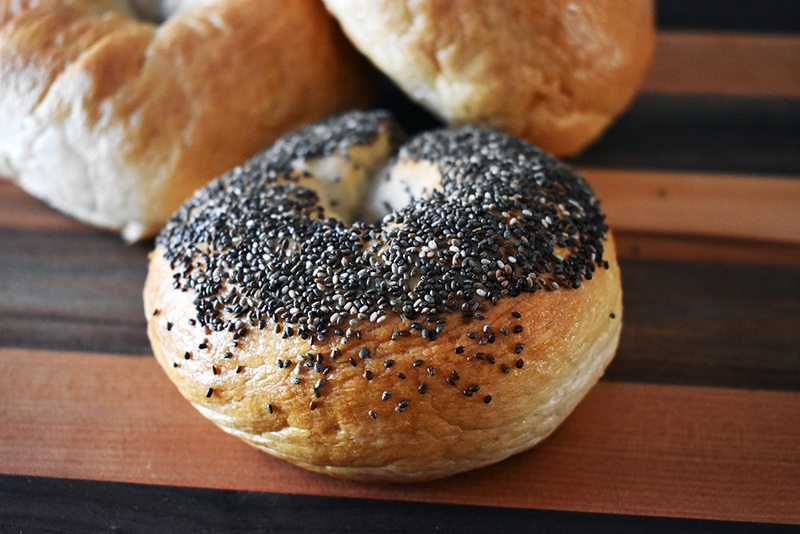 Place bagels back on baking tray, lightly brush bagels with egg wash, and add any seasonings as desired. Bake bagels in pre-heated oven for 15-20 minutes.